It is absolutely impossible to carry out a criminal act of any scale following ignored surveillance. Whether it is a robbery, a murder, a woman's purse being snatched, an area being bombed, someone being mugged or any other criminal activity, it is the product of thorough surveillance. This surveillance might have also been going on for several months before the actual crime is even committed. It does not even matter if the person attempting the crime is mentally challenged or disturbed. Despite all justifications and all odds, every individual or group of people planning an attack observe and follow their target for a significant period of time in advance. It is however true, that someone like a mugger might observe their target sometimes for a few hours, minutes or even seconds before they act upon it, larger organizations spend months observing their target before they actually make a move. The purpose of this surveillance is often to anticipate the movement of the target. The point of the surveillance is to expose the person who is being observed for whatever reason. Sometimes when the surveillance being conducted is either illegally being done or being done for personal purposes, there are things that can be practiced to oppose that surveillance. The term used for this act is called counter surveillance. This is the process in which the initial surveillance is detected using anti-surveillance techniques. This is a very important task especially for business tycoons who are being surveyed and have received possible threats. Counter surveillance is what allows them to deal with these threats in a more effective manner. This is how a simple act of surveillance can be stopped before it becomes a more harmful and personal attack on a person or on a company. There are a few things that must be kept in mind when countering an already occurring surveillance. The very first thing you must identify is if the surveillance is even vulnerable enough to be detected. Sometimes, even if you know you are being watched and heard, it is difficult to know by whom because of the high sophistication of the devices being used. 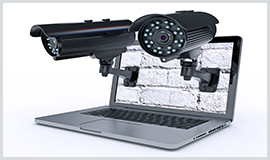 Whoever you hire for counter surveillance will immediately know whether the devices can be traced or not. And second most important thing to keep in mind is not be vulnerable yourself. If the counter surveillance is weak then the host party just might find out and this might place in your in more jeopardy that you were in before. Hence, it is important to hire the right people and make wise choices. A lot of people think that when any criminal decides to commit an act, they do it in the spur of the moment. This is completely untrue. These individuals, be them stalkers or bombers, they have their own cycle they follow when plotting the assault itself. The entire process begins with surveillance. This is to plan each and every move in advance to plot the attack and understands the things that influenced her. The entire reason why this surveillance is conducted is to identify the weak areas of the target. This gives the attacker a very accurate chance and time to attack and succeed in their task. Sometimes it might even take months to identify the weakness, but this wait allows them to minimize chances of error from the attack. Their behavioral pattern is observed, from the time they wake up to the stops they make, the place they work, their mode of transportation, their daily route and other similar aspects. If the target goes through areas of high security that might make it difficult for the attacker, even those are noted and worked around. They keep an eye out for the guards responsible for the security and might even do their business in the few minutes that the area is left unattended as guards change their shifts. They keep an eye out for gates that are coded and try to either find out the code or move in the restricted area under disguise. This is the information that allows them to implement their plan with minimum to sometimes no loopholes. If you wish to counter such an activity then it is best to begin with seeing if there is a particular pattern of a person or vehicle following you. If there is, then it is best to get in touch with a team immediately. Also, if you are able to detect someone keeping an eye on your each move, it means the host is vulnerable to detection. The longer period of time they follow you and the extent to which they follow you is what determines the chances of them being detected. It is important to be very careful when you have identified them because one wrong move on your part might put you in serious trouble. There are various things that a surveillance team uses to minimize its chances of getting caught. They use bugs, listening devices, video recorders, camcorders and other similar gadgets. When there is high sophistication of gadgets and performance methods being implemented, it might get very difficult to detect the party spotting you. Hence, it is important to hire an extensive team that uses similar gadgets to counter them. The detectives must be highly trained and organized in the way they function. Hence, if this entire procedure is being conducted at a smaller scale, it might not be as sophisticated. It is carried out to this extent, often only at a government scale. Despite all of the above, these observations are often being conducted by a single person or a group of functional individuals. The number of people working on a case is also a very important determining factor in surveillance's vulnerability. It is not important that the people operating have textbook knowledge of how to go about the entire process. It is very important for them to have actual experience out in the field. Hence, it is textbook knowledge paired with practice that allows them to think on their feet and maneuver their own schemes as they see things moving in specific directions. Sometimes, at a government level, these individuals have to be highly trained given the sophistication of the criminals that are being dealt with. This experience comes not with intuition but with the understanding of human psychology and nature. Hence, one cannot simply take up such a task and expect to excel in it. Anyone who wishes to be in the field is given a lot of training. This training allows them to look at situations and understand human psyche simply by the way a man moves or lifts a finger. This training often lasts up to twenty four hours without a break to ensure the trainees understand how they are meant to implement their knowledge and link human behavior to the actual matter. Hence experience in surveillance, is the key to success. This is hence equally important in counter surveillance because it is the experience that allows them to catch on the vulnerabilities of others. It is important to know who is hired for the task. Remember that the single person conducting the surveillance can make or break you. Despite their experience and knowledge, they are the most vulnerable key to your entire mission. This means that if someone understands their nature, they can easily be ticked off or even bribed to give away information that can blow your cover completely. So if you are part of the counter surveillance team then the smartest thing would be to identify the individual from the host team. If your team is able to reach out to this individual in an appealing and almost threatening manner, then this might help you save your skin in an effective manner. It is a lot easier to target and get to one person as opposed to getting in touch with a group of people or a small mobile working together. 1. You could take counter measures that fit the particular day and situation. This might completely throw the other party off and give you the upper hand even if it is just for a few hours or for a day. 2. Another way to completely throw them off would be to not conduct the surveillance one day but take it to a whole new level on another day. This might even disrupt their signals a great deal. This also helps in ambushing and manipulating the person. 3. You can even randomly run into the person at one route and then at another. Or you can follow them in such a manner that they feel like they have no escape from you. These are all the ways in which you can completely encompass the individual in such a manner that they have absolutely no escape from you. 2. Thorough photography sessions to track every move of the surveilling. This is why the teams that have been thoroughly trained in counter surveillance know exactly what can be used as a resource. Their training and their experience allows them to look for the glitches that directly allow them to expose the host surveillance team. It allows them to minimum possible forthcoming attack threats and thus be able to prevent them.